With a tropical climate, Malaysia does not experience the springtime blossoms enjoyed by more temperate countries like Japan. 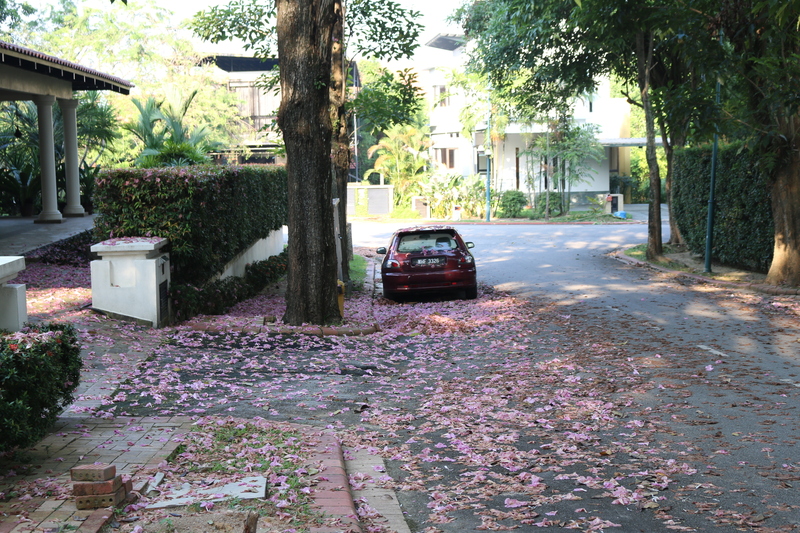 However, at certain times of the year, various trees suddenly burst into flower for a week or so, adding colour to Malaysia’s streets. 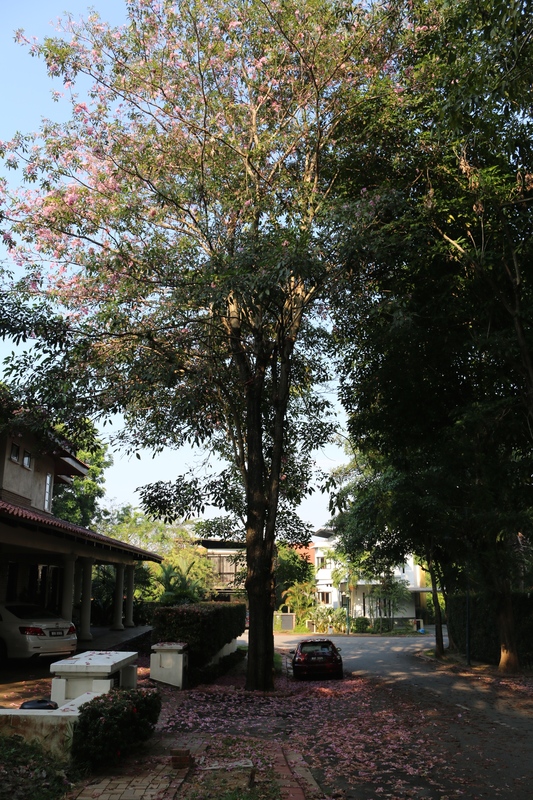 Last week it was the turn of this tree, Tabebuia Rosea, known more commonly as Rosy Trumpet Tree or Pink Poui. 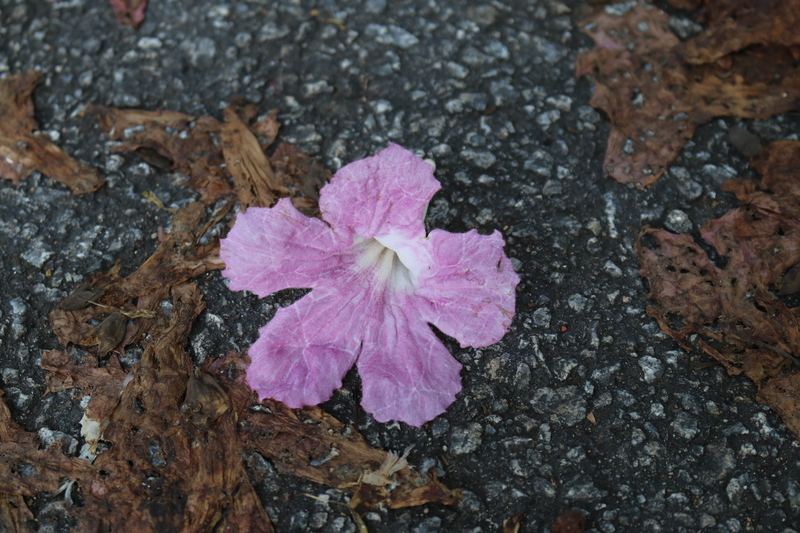 It is sometimes nicknamed Malaysian Sakura, though it is no relation to Japan’s cherry blossom. The tree can reach heights of 30 metres or more. The tree originates from tropical America and is the national flower of a number of Latin American countries. In Malaysia, it blooms twice per year, usually in March and July. 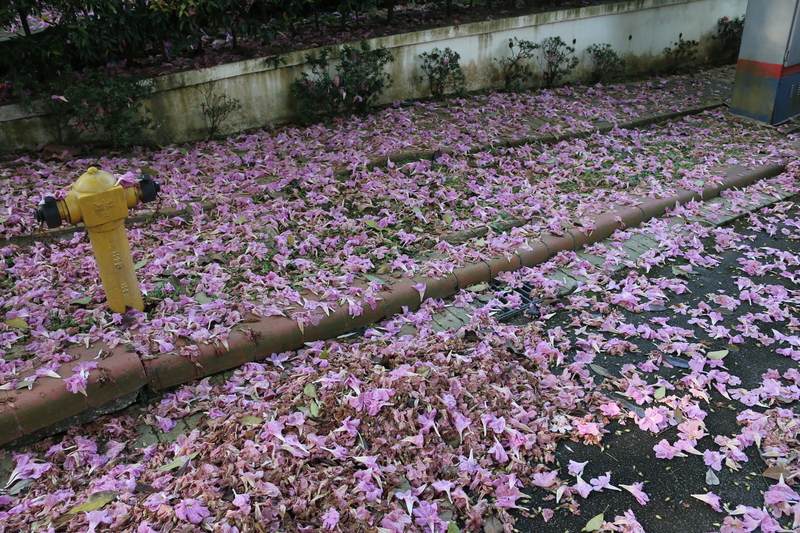 A rain shower causes the tree to shed its flowers, creating a pretty pink mess. There are white and lighter pink varieties of this bloom and when all three are found together it does give the feel of cherry blossom.